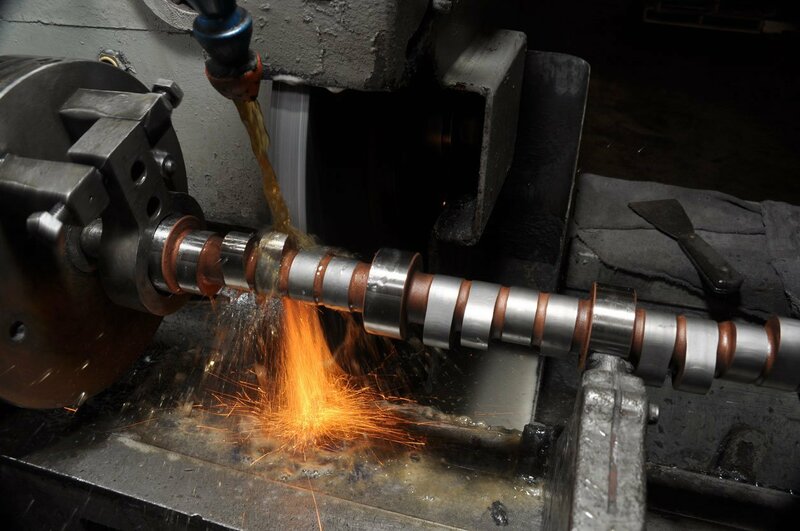 The primary reason for selecting an aggressive camshaft profile is to bolster the inefficiencies of a cylinder head. The more aggressive the cam profile, the more spring loading is required to keep the lifter in contact with the lobe. 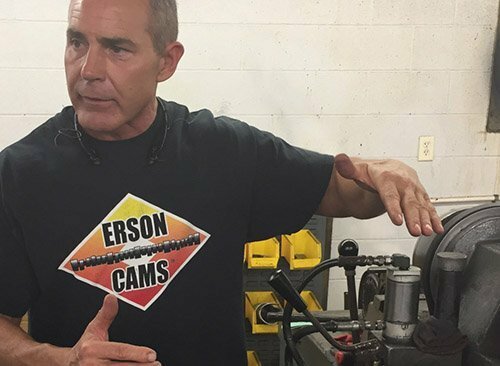 Aggressive cam profiles are generally judged unnecessary for use with efficient cylinder heads. For this reason, we favor returning to established profiles because they are less abusive on valve springs. 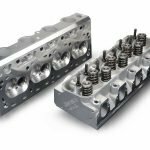 Given an efficient cylinder head, a milder profile camshaft will make just as much horsepower. The proof of this is easily demonstrated by back-to-back dyno testing. 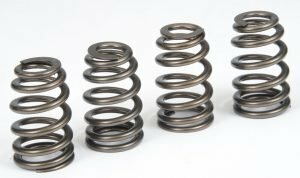 Inadequate valve springs are the major cause of roller lifter failures. They enfeeble the valve train, allowing the lifters to be thrown over the nose of the cam lobes, damaging or crushing their needle roller bearings on the impact of landing. 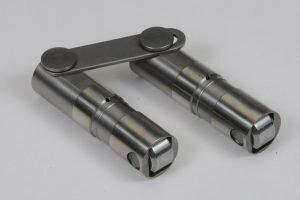 If stronger spring loadings are necessary and the durability of the needle rollers is in doubt, use roller lifters with bushings instead of needle bearings. A Beehive valve spring resembles the shape of a whiskey barrel. 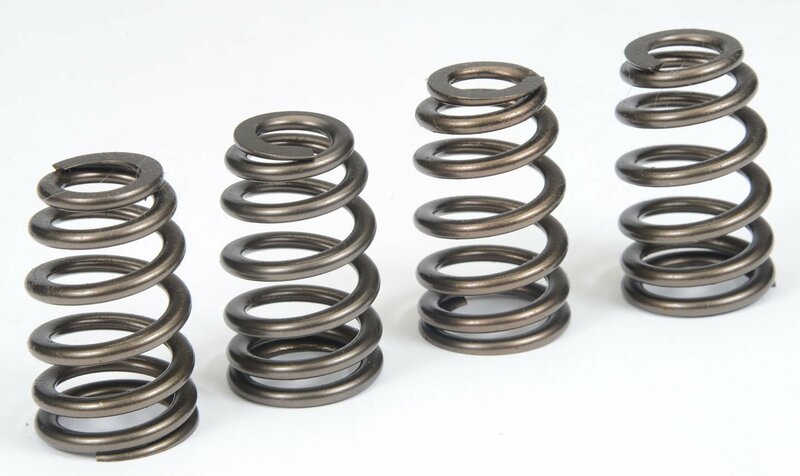 These springs are frequently used in applications where clearance is at a premium, usually between the underside of the rocker arm and the outer edge of the spring retainer. They are also desirable in the quest for lighter moving parts. The Beehive’s narrow top end adopts a smaller retainer, thus achieves a lighter spring assembly. Beehive springs are commonly used on late-model Ford and LS road-going engines. The LS factory-spec camshaft opens the valves to around 0.530in. 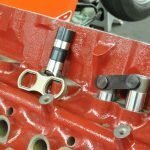 Given its stock 1.7:1 rocker ratio, Erson’s aftermarket camshafts with 0.340in or 0.365in lobes increase valve lift to around 0.570in and 0.620in. respectively. This is about 0.100in greater than the previous small-block engine would normally accommodate. Compared to its 1.5:1 rocker ratio, the 1.7:1 variant increases both valve speed and the aggressiveness of the cam profile. 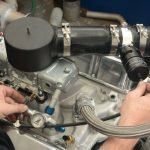 By using fairly aggressive specifications—larger cam lobes and rocker ratios—the LS engine design succeeded by incorporating smaller and therefore lighter valve train—the valve stem diameters are smaller as are the springs and retainers. In fact, the LS resembles a de-tuned NASCAR engine. Surely, recurring news of the latest and greatest spring innovation is nothing more than just reinventing the wheel—a ploy to sell more parts? 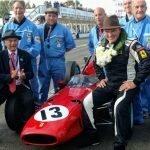 A note about this article’s source: Russ Yoder began his career as a race engine builder. As a result, his influence at Erson has spawned various initiatives. 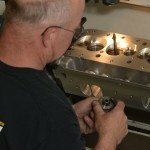 Mostly efforts devised to help engine building efficiencies, these include a two-day custom cam service.